In episode 5 of Cocktail Party Massacre, Pickens forced Brock to watch I Know What You Did Last Summer, a movie that was just as reprehensible as Brock remembered. To punish his co-host, Brock crafted a cocktail Pickens was sure to hate. Brock called it I Know What You Drank Last Summer. In the following episode, purely for retribution, Pickens crafted a cocktail he knew would be way too sweet for Brock's bitter leanings. He called it the Crystal Lake 7&7 (in honor of their discussion on Friday 13th: The New Blood). Which cocktail is tastier? You decide! You'll find the recipes below. Give them a try, and let us know who wins the battle of Least Offensive Libation. The I Know What You Did Last Summer episode was supposed to be in honor of July 4th, but with refugees being thrown in internment camps and children being separated from their parents, Brock wasn't feeling particularly patriotic. 2/3 of his cocktail boast ingredients associated with Mexico: tequila and Corona. This is also a very no-fuss cocktail you can whip up in a jiff and enjoy just as jiffily. Simply combine the tequila and beet juice in a chilled beer mug and top off with the Corona. You'll really be surprised how the combination of beer and beet juice softens the tequila. Drink with caution. Too many of these, and it'll feel like you were gutted by a vengeful fisherman. 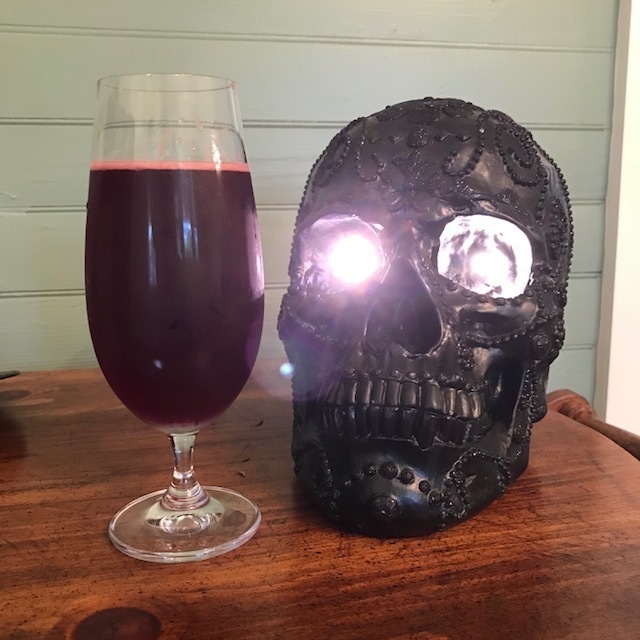 For this blood-curdling cocktail, you'll need to be nimble. If done properly, the shot glass within the tumbler will upend and fill your drink with a vermilion hue. Inspired by the seventh installment of the Friday the 13th series, Pickens crafted the Crystal Lake 7&7 -- and, like the movie's telekinetic final girl, Tina, you'll need special powers to pull it all off. Fill a shot glass with cherry juice. Hold your tumbler upside down and insert the shot glass inside so that the lip of the shot glass is flush with the inside bottom of the tumbler. Hold the shot glass securely as you flip the tumbler right-side-up so that now the tumbler is ready to fill with the 7&7. If done properly, no liquid will leave the shot glass. Pour in the Seagram's 7. Then, add the 7-Up. At this point, the shot glass will upend, and your Crystal Lake of booze and fizz will fill with blood. Congratulations! You have a Crystal Lake 7&7 -- and diabetes. Make both of these polarizing drinks, and let us know which flavor profile you like best. Tag us in your cocktail pics on Instagram: @cocktailpartymassacre. Leave us a note on our Facebook page: Cocktail Party Massacre. Also, join us in a horror-inspired drinking game. Sign up to be in our Final Girl horror trivia game and earn the chance to win a fabulous ridiculous prize.